Spiced chocolate with marshmallow graham topping. 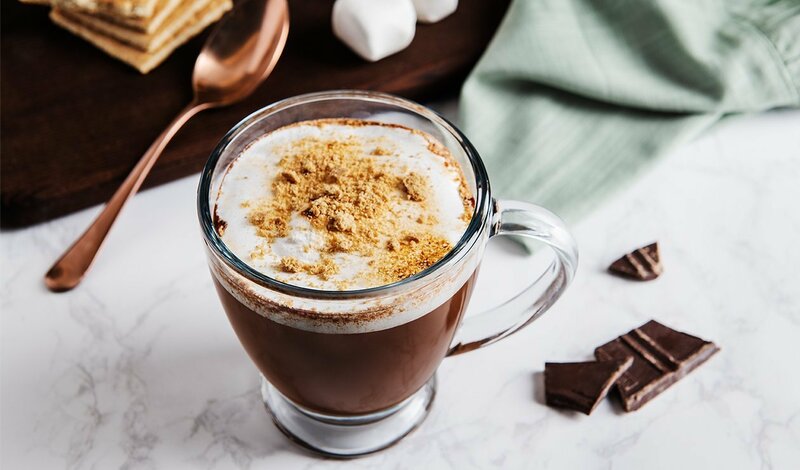 Add hazelnut milk, chocolate and Tazo® Concentrate Classic Chai Latte to saucepan and over low heat melt chocolate. Do not boil. When chocolate is melted pour into 4 coffee mugs. Top each mug with 21 gram of Marshmallow fluff (brulee with pastry torch). Sprinkle 5 gram of crushed graham cracker over each.